Do you have a question about our products or services? Please check the list of frequently asked questions below. Is your question not on the list? Please contact Spiegelgracht Juweliers or visit our store in Amsterdam. What is the address of Spiegelgracht Juweliers? Address: Spiegelgracht 12, 1017JR Amsterdam Tel. 020 – 4221015. What are the opening hours of Spiegelgracht Juweliers? Our retail store is open Monday through Friday, 10:00 -17:30 Hours. Are all the watches from the website present in the store? Yes, all on-line watches are available in our store. All watches come with 2 year warranty. Can I reserve a watch online? No. 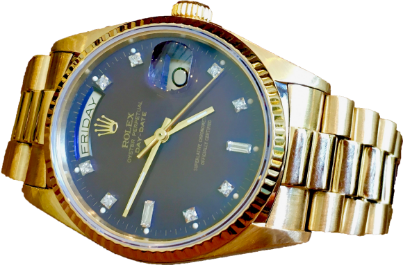 Watches can only be reserved by telephone (020-422 10 15) for a period of one working day. Can I buy a watch online? Yes, all watches can be bought online. Can I return/exchange my on-line purchase? We offer free FedEx insured shipping within the EU. Does Spiegelgracht Juweliers buy watches as well? Yes, Spiegelgracht Juweliers also buys vintage luxury watches on condition they fit in well our collection. We pay on the spot by cash or wire.